In recent years, the Jewish community has begun to reclaim the Jewishness of Jesus. 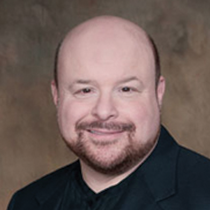 Jonathan Bernis discusses why this is important. Throughout the world, Jewish people are coming to the realization that it is possible to believe in Jesus and remain a Jew. That was not true just fifty years ago. At that time, not a single Messianic Jewish congregation existed anywhere, and very few Jews professed faith in Jesus—several thousand at best. By 2009, more than 350 Messianic Jewish congregations existed around the world, including more than fifty in Israel. At least one million Jews in the United States express some sort of faith in Jesus, according to a nationwide survey. Conservative estimates indicate that the number of Jews who do believe in Jesus, either in Messianic Jewish congregations or in believing churches, range somewhere between 50,000 and 100,000 in the United States and 250,000 to 500,000 worldwide. Approximately 20,000 Messianic Jews live in Israel today, and many of these were Jews from the former Soviet Union who now profess faith in Jesus. For the most part, this massive turning of Abraham’s descendants to their Messiah has been ignored by many in the Church, including teachers, historians, and evangelical and charismatic leaders, despite the New Covenant promise that God made to the Jewish People in Jeremiah 31:31: “The days are coming,” declares the LORD, “when I will make a new covenant with the people of Israel and with the people of Judah.” The prophecy goes on to explain that this New Covenant would be different from the Mosaic Covenant, “because they broke my covenant, though I was a husband to them” (v. 32). This indicates that God recognized their failure to obey the Law as well as their inability to keep it. But rather than reject the Jewish People, He wanted to provide for them a covenant they could keep—one that would be written on their hearts rather than in stone. Growing up in a Jewish family, I was taught the Ten Commandments at an early age. Yet only when I became a Believer in Messiah at age twenty did the commands of God take root in my life. Why? Because the laws of God that were external to me before had now been written in my heart through the Holy Spirit. And this is what happens to every true Believer in Messiah. They have come into the glorious New Covenant and that which was external (Mosaic Laws) has now become internal. This New Covenant is a living, breathing relationship with God. “I will be their God, and they will be my People” is a promise of adoption and inheritance. It speaks of an intimacy where He is no longer just Adonai (literally “Sir” in Hebrew) but is now Abba, “Daddy.” It is about knowing Him personally, not just knowing about Him. I learned a lot about God as a child—how He had performed miracles through the heroes of the Bible, parted the Red Sea, gave the Children of Israel manna in the wilderness, and saved Daniel from the lion’s den. It wasn’t much different from what I learned in school about George Washington, the first president of the United States who was known as “The Father of Our Country.” But I never felt that I knew Washington, and neither did I feel that I knew God. But when I surrendered to Yeshua (Jesus), I discovered I could have an intimate friendship with the Creator of the universe. Now I do not just know about God. I know Him personally, and according to Jeremiah 31, the day will come when every Jewish man, woman, and child will know Him in this same way. Paul declares in Romans 11:26-27, “And so all Israel will be saved. As it is written: ‘The Deliverer will come from Zion; He will turn godlessness away from Jacob. And this is My covenant with them when I take away their sins.’” This means that at a set time in history, the descendants of Israel who are living at that time will recognize Jesus as Yeshua, their Messiah. Their sins will be forgiven, and they will realize that Yeshua’s blood cancels their sin forever! The promise of eternal forgiveness was first made to the Children of Israel. Gentiles, then, when they accept Jesus as Lord and Savior, are “grafted in” to the promise God made to the Jewish people. They are adopted into God’s family and may partake of the promises the prophet Jeremiah first delivered to the Israelites. Jesus was born a Jew of Jewish parents in the Jewish homeland. Growing up, He lived as the Jewish People of His day lived, following the Jewish rituals and customs. When He began His ministry, He prophesied by the Jewish prophets. His disciples were all Jewish, and He spent His time on earth proclaiming the Good News to His own people. Jesus Himself said that He “was sent only to the lost sheep of the house of Israel” (see Matthew 15:24). Yeshua is the Messiah who fulfilled the prophecies of the Jewish Scriptures. And yet God loves the world so much that He gave His only Son for all who believe, Jew and Gentile alike. As a Jew it makes me sad to see that many Christians have very little understanding of their Jewish roots. But it makes me feel even worse when well-meaning Christians tell me, “Brother, you have become a Christian now—you are no longer a Jew.” No, I am still a Jew. I am a Jew who has embraced Yeshua as his Messiah—but I am still a Jew . . . one who joyfully lives in the daily reality of God’s fulfilled promises and His love. In recent years the Jewish community has begun to reclaim the Jewishness of Jesus. Although this is far from accepting Him as Messiah, Jewish leaders are recognizing that Jesus was a Jew and the importance of that fact. A 2013 Pew Research Center Survey of U.S. Jews1 revealed that 34 percent of Jews think being Jewish is compatible with believing that Jesus is the Messiah,2 a belief that’s theologically anathema to traditional Judaism. Some Christian leaders are also recognizing that Jesus cannot be separated from His Jewish heritage. In a 2008 issue of Time magazine, an article appeared entitled, “Ten Ideas That Are Changing the World.” In it, writer David Van Biema introduced two American Protestant leaders—a Methodist New Testament scholar and a pastor of a megachurch—who regard sources like the Mishnah (a collection of early oral interpretations of the Scriptures compiled about 200 A.D. that make up the first section of the Talmud) and Rabbi Akiva (an authority on Jewish tradition who compiled much of the Mishnah and is considered one of the earliest founders of rabbinical Judaism) as vital to understanding history’s best-known Jew: Jesus. 1. The Pew Research Center, “A Portrait of Jewish Americans” study, http://www.pewforum.org/2013/10/01/jewish-american-beliefs-attitudes-culture-survey/. 2. Josh Nathan-Kazis, “Boundaries Blur Between Jews and Christians in Shocking Ways,” The Jewish Daily Forward, October 7, 2013, http://forward.com/articles/184996/boundaries-blur-between-jews-and-christians-in-sho/?p=all#ixzz2jiWIhjnA.